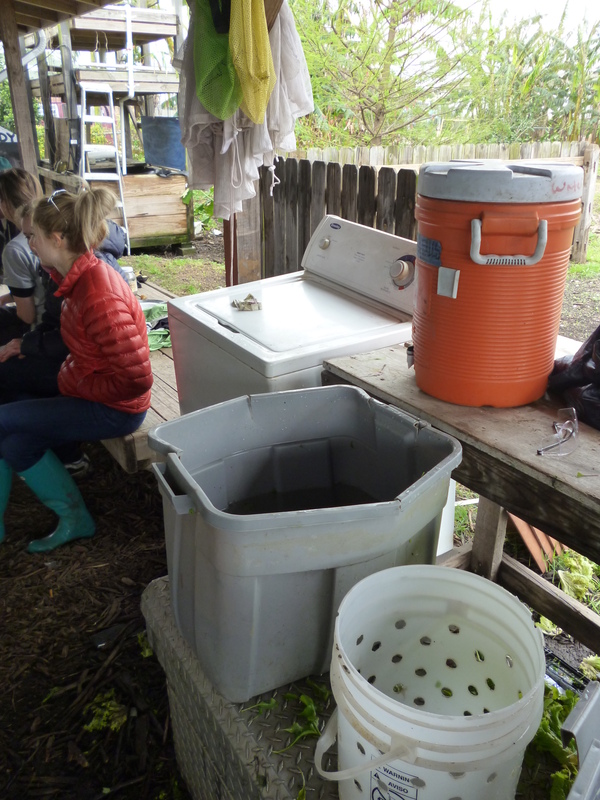 Insight on urban farming from ucalgarycares Food & Justice participant Rachel F.
Farmers in New Orleans face numerous challenges related to their environmental and social circumstances. Over the week with the Food & Justice program, we learned about some of the difficulties they face and what new ideas and innovations they are employing to tackle the problems. This is an overview of a few challenges and insights mentioned at the farms we visited. Many new farmers in New Orleans rely on experimental methods of growing food because most of the established knowledge about growing food in New Orleans was not passed on from older farmers. Connection with past farmers was lost as people retired or moved out of the city, and some information was lost in a generational shift where people abandoned farming in the area. Consequently new farmers lack a foundation of knowledge about growing conditions and best practices in the New Orleans’ climate. The flooding introduced by hurricanes and the levee failure has introduced foreign objects and toxic chemicals into the soil. To remedy this, farmers often need to bring in soil from other regions or create new dirt from compost and rebuild their topsoil. 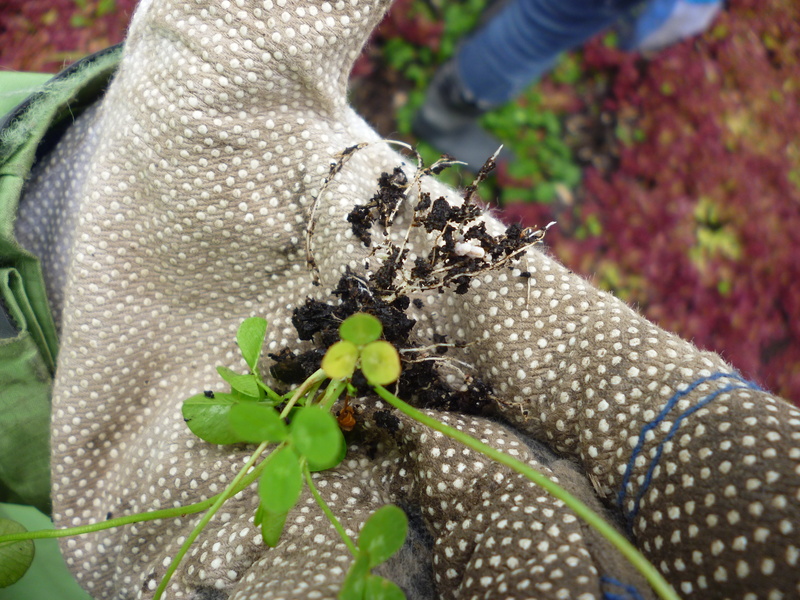 Another option is to grow plants that can help clean the soil, such as clover. Clover roots have nodules that host bacteria and work in a symbiotic relationship with the clover to produce nitrogen compounds (the white balls on the roots). This nitrogen will be released when the plant dies and improve the soil for the next crop. At Our School at Blair Grocery, they also grow a variety of plants that collect and store nitrogen. These plants can later be composted and tilled into the soil to release the nitrogen as they decompose. All of the farmers mentioned their vulnerability to strong winds and storms that can destroy crops and farm infrastructure. The bright sun and high temperatures can also overheat greenhouses and cause plants to bolt and grow too quickly, resulting in inferior produce. At the Grow Dat Youth Farm, farmer Leo explained that they construct wire frame tubes covered in black mesh to put around lettuce plants to prevent them from getting too much sun. Another challenge facing farmers in New Orleans is the large amount of undesired plants that can grow among planted crops so weeding must be done frequently. As Jabari, a farmer at Grow Dat described, the best thing about New Orleans is that you can grow anything; the worst thing is that anything can grow. There is a shortage of soil in New Orleans, so topsoil and sand must be brought in from other areas. In some cases seabed shells had been brought in from lakes instead of importing sand from further away to mix with the soil. At Grow Dat I asked Leo how new technologies and ideas have been used on their farm. He explained that most of the farming technology they use is not new, but rather just improved by modern innovation. For example, their tilling machine has an improved motor, but the tilling design is not a new invention. They also use drip line irrigation, which is not a new invention, but new in their farm practices. At Our School at Blair Grocery, Rob explained that they started using a washing machine to spin dry their lettuce. Aside from this, they also use a tilling machine, but they largely rely on hand tools. This farm also has an aquaponic system that they plan on moving into a circle tent in a few weeks. 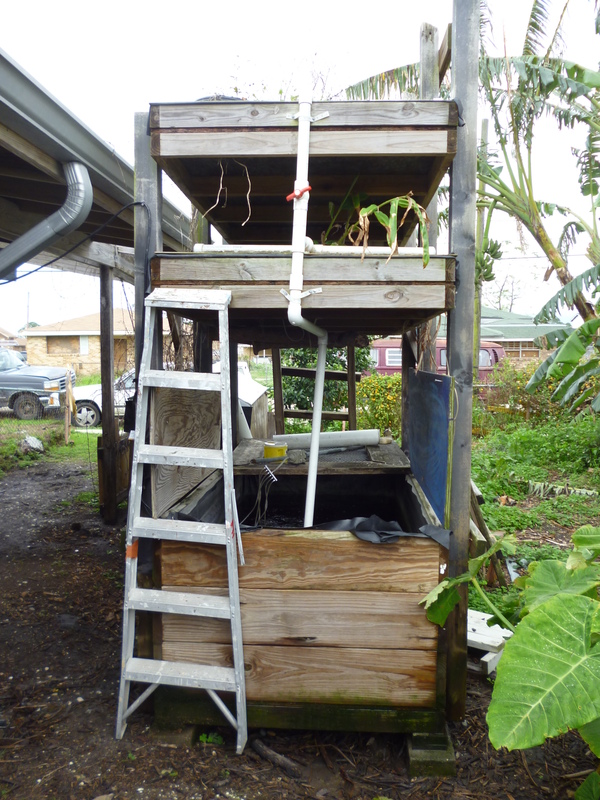 Here they will grow Talapia and micro greens in a closed-loop system. Lead farmer Nat also showed us their recent pursuits in mushroom farming. They’ve been adopting established practices, but also learning through their own process of trial and error. For example, green mould is harmful to mycelium, which is needed to grow the mushrooms. They plan to enclose their mushroom room to limit contact with green mould, but when green mould does appear, they’ve realized that it can be burned off without harming the rest of the mushroom soil. While the climate and environmental circumstances in New Orleans have presented challenges, this past Reading Week we witnessed how some urban farmers have been using a mixture of experimentation and new ideas, combined with dedication and hard work to efficiently grow healthy crops. This entry was posted in Food & Justice, Reading Week 2013, Student Posts and tagged Food & Justice in New Orleans, student post, ucalgarycares 2013. Bookmark the permalink.